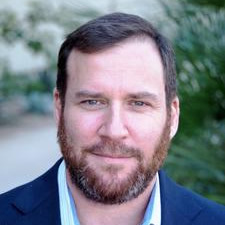 Ethan is a medical device sales and operations veteran who brings 22 years of experience to ImplantBase. He began his career as a U.S. Army logistics officer in the 1st Cavalry Division, a fast paced environment with antiquated systems. While managing logistics operations of various sizes, Ethan took an interest in personally developing software solutions to bridge the gap left by the Army’s 1970s infrastructure. This was the beginning of his fascination with automation. Upon leaving the Army, he spent 6 years as a sales rep and sales manager for a multi-manufacturer medical device distributor in Texas where he gained experience in Spine, Joints, Trauma, Bracing, and Biologics. In 2005, he founded a surgical neuromonitoring company, NeuroTechs (acquired by Biotronic NeuroNetwork in 2011). In overcoming the challenges of a complex neuromonitoring operation with no technology options, Ethan discovered the power of custom software. He oversaw the development of a comprehensive system to run his business, and soon began to enjoy efficiencies resulting in more revenue and less expense. This led to NeuroStream, the software startup he founded to serve the rest of the neuromonitoring industry. Finding a passion for creating customer responsive software, Ethan left the neuromonitoring industry to focus on software exclusively. He began to build ImplantBase’s product and core team in mid-2009. Today, he focuses on ImplantBase company growth and product development. He loves living in Austin, Texas and enjoys spending time with family and friends, staying healthy practicing Brazilian Jiu Jitzu, and drinking good tequila while watching college football. He is a 1993 graduate of Florida State University, with a Bachelor of Science in Business Management. Chris is a business process and technology consulting veteran with 20+ years experience. Like Ethan, his career began as a logistics officer in the US Army. He left the Army just as the Internet was becoming widely known to start a web design company. 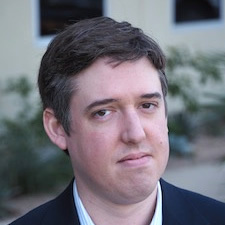 During the dot com boom in the mid to late 90s, Chris made a name for himself as an expert in translating often very complex business problems into online solutions. 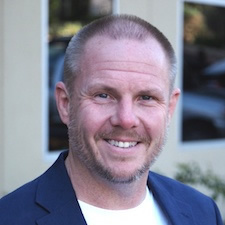 By way of a series of acquisitions, he eventually found himself leading the Information Architecture practice for Enterpulse, a regional consultancy in Atlanta, GA. As the bubble burst, Chris called upon his sales and consulting experience as well as his degree in Biology to obtain a position as a founding member of IBM’s Healthcare and Life Sciences vertical. While at IBM, Chris re-connected with Ethan (his Florida State University classmate and fellow Army officer) and hatched the business idea that would one day become ImplantBase. The draw of once again being an entrepreneur compelled him to leave the security of IBM to take on reinventing the medical device industry. He has never looked back. Today, Chris drives the operations side of ImplantBase, which includes the support and project management practices of the company. He is also heavily involved in the product strategy and user experience of ImplantBase. Chris happily shares his spare time with friends and family, and you can occasionally catch him on stage playing guitar and singing in Austin’s live music scene. Brazilian Jiu Jitsu is also a regular pastime. Daniel Norris has been in web development for over 10 years during which he developed solutions for many companies including Coca-Cola, CNN, Red Cross, and the FAA. Having spent years designing and building tools to replace software that nobody used, or liked to use, Daniel brings a unique customer focused perspective to software development. One in which the attitude is "If users don't love it, we didn't build it right." He has primarily worked with Java, Groovy on Grails, and MySQL, but has also worked with many other technologies including Python, C/C++, Oracle, SQL Server, and, of course, Linux. In his free time, he experiments with the latest web technologies - including Functional Reactive Programming and various NoSQL databases like Cassandra and MongoDB, particularly in dealing with Big Data.